This was my very first Dhanush film and the one that made me a fan, despite the fact that for most of the film his character is not very appealing at all. Added to that, the first half contains annoying plot points that seem to recur in Southern Indian films with disturbing regularity and it’s amazing that I enjoyed this film as much as I did! But it’s the performances, particularly by Dhanush and Raghuvaran, along with an excellent soundtrack and a better second half that made this film worth watching. It’s a remake of Selvaraghavan’s Telugu film Aadavari Matalaku Ardhalu Verule which I haven’t seen, but it does seem a lighter romance than Selva’s usual fare. Back in 2008 when this film was released, I’d never heard of Dhanush and the Tamil films I’d watched were all either Rajinikanth or Kamal Hassan starrers with the odd Vijay or Madhavan film that somehow made their way into my DVD collection. But then I saw this song on the bus heading out to work in the villages around Trichy and I was instantly intrigued. I wanted to know why the guy was wandering around in a total daze following a girl who seemed totally oblivious to his presence and since I loved the song too, I knew I had to find a copy of the film! Dhanush plays Vasu, a rather miserable layabout who half-heartedly applies for jobs where he doesn’t really ever seem to have a hope of being employed. 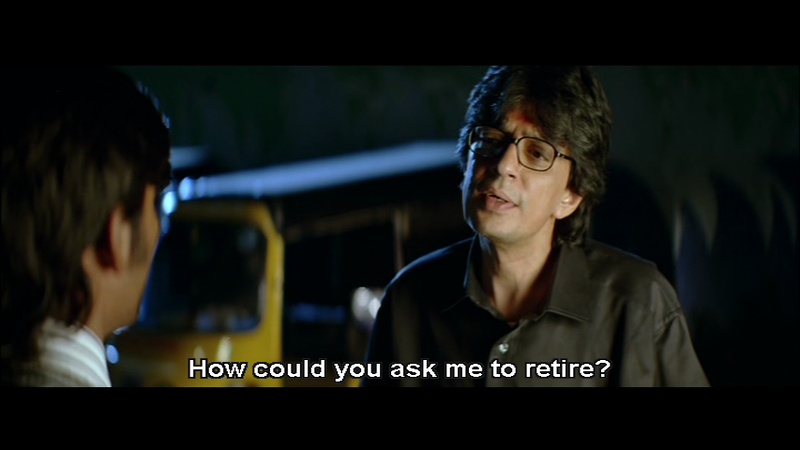 He has a couple of good friends, Cheenu (Karthik Kumar) and Ganesh (Karunas), who seem willing to put up with his morose disposition, and a long-suffering father (Raghuvaran) with whom he has a difficult relationship. But just when Vasu seems to be going nowhere, he sees Keerthi (Nayanthara) and falls instantly in love – although this does seem to be based solely on her appearance and enjoyment of the rain. Which is where that song comes in. 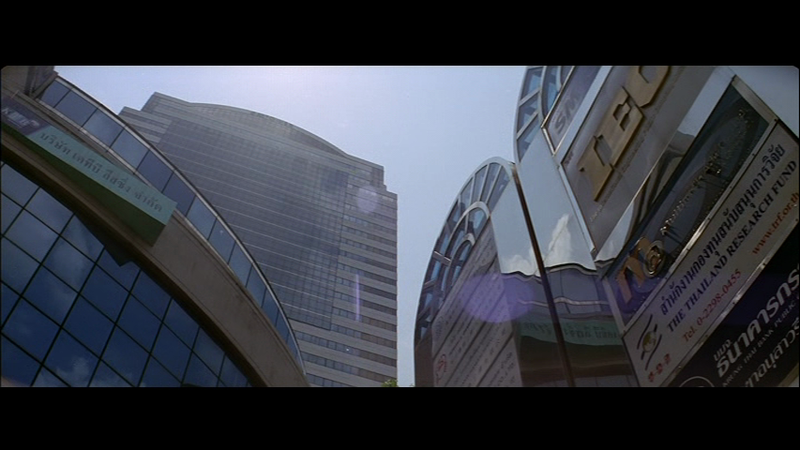 We’re back to the disturbing premise that stalking = love for this part of the film, but as Vasu follows Keerthi he finally becomes motivated and manages to secure a job at the same software company. Keerthi is his boss, and although she isn’t impressed with Vasu, her irritation with him doesn’t deter Vasu’s enthusiasm or belief that she will fall in love with him too. Despite never having shown any previous signs of genius or diligence, Vasu turns out to be a computer whizz-kid and manages to single-handedly save a project by working all night. The power of love I presume since he also has to teach himself basic programming along the way! As a result he is sent to Australia with Keerthi and a few others from their team for a short-term contract. I have no idea why Selvaraghavan’s screenplay demanded that the job should be in Australia since these scenes are quite clearly shot in Thailand with Thai extras, even though director Mithran Jawahar has tried to add an Australian flavour with the addition of surfboards and a song on the beach. It’s still not very Aussie though. 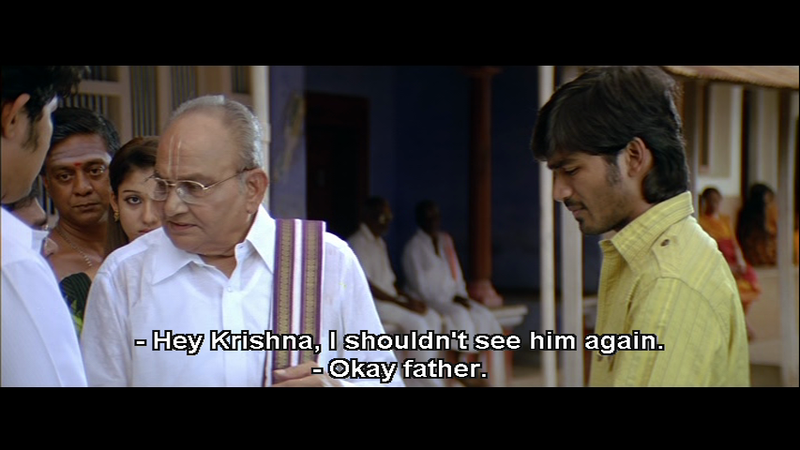 The best part about the first half is the developing relationship between Vasu and his father. Raghuvaran is excellent as Vasu’s father although his illness at the time is apparent in his frail appearance, and sadly Yaaradi Nee Mohini was his last film released before his death. He complements Dhanush in their scenes together and their relationship feels very genuine as a result. As Vasu gains maturity through his job he becomes better able to relate to his father and there are some great moments between the two as they explore their new rapport. Dhanush is very believable as the young man gradually discovering his self-worth and makes Vasu’s developing confidence seem very natural. But after such promising character development, the next few scenes are just awful as Vasu declares his love for Keerthi and is rejected. There is some completely inexcusable dialogue as Vasu threatens Keerthi for insulting his father, and his immature and aggressive behaviour here is disappointing after an hour of watching his character supposedly grow up. Keerthi also seems to act out of character but thankfully the screenplay quickly moves on and things do improve for the rest of the film. Although Vasu still mopes around miserably for most of the second half, his interactions with the children and Keerthi’s grandmother are charming and the development of his relationship with Keerthi seems natural and sweet. There are some funny moments as Vasu struggles to adapt and since the comedy is integrated into the story it flows well without disrupting the romance. The one fight scene is rather less successful since the only reason for a gang of rowdies threatening Cheenu’s grandfather seems to be just so that Vasu can defeat them single-handedly, and as such it doesn’t add anything to the plot. While the story is fairly routine, there are a number of reasons why this film appeals to me as much as it does. Firstly the performances are excellent and there is good chemistry between Dhanush and Nayantara as their relationship develops. Dhanush really is impressive and fits well into the role of a rather ordinary young man while still capable of displaying a wide range of emotions without veering into melodrama. His attempts to do the right thing and keep Keerthi at arm’s length are very well portrayed and he gets the facial expressions just right to portray his inner turmoil. Plus he is funny and can dance – that’s pretty much everything I need. Nayantara has a role with a reasonable amount of depth and she does a good job in making Keerthi more than just an average Tamil heroine, while Karthik Kumar makes Cheenu an interesting and likeable alternative to the hero. All the other cast members are excellent in their roles and I love Sukumari’s grumpy and fractious grandmother and Saranya Mohan’s determined younger sister. Another plus for the film is the soundtrack by Yuvan Shankar Raja which has some great songs and in general they are well pictured. This is my favourite, and it’s still one I watch regularly. I love the way the backing dancers are added in to the choreography and I think it’s just a beautiful song that fits into the development of the romance perfectly. There are also lots of little touches that keep the film feeling realistic such as the general clutter and disarray in Vasu’s house and the organised chaos of the family house in the village, while a shopping trip to buy sari’s is scarily familiar! These very normal scenes contrast nicely with the really quite wonderful dream landscape where Vasu dances with Keerthi which seems to be the only place where their romance can possibly happen. Despite the issues I have with the first half of the film, I love the second half and Yaaradi Nee Mohini will always be special as the film that introduced me to Dhanush. It’s not just for Dhanush fans though as all the cast are good and it’s nice to see Nayantara in a role with a bit more substance. I give the first half 2 stars, but the second half 5 which comes to a probably just about right average of 3 ½ stars. This entry was posted in Kollywood and tagged Dhanush, K. Vishwanath, Karthik Kumar, Karunas, Mithran Jawahar, Nayantara, Raghuvaran, Saranya Mohan, Selvaraghavan, Sukumari, Yuvan Shankar Raja. Bookmark the permalink.